Little, Brown and Company, 9780316278751, 352pp. Stephan Eirik Clark was born in West Germany and raised between England and the United States. He is the author of the short story collection Vladimir's Mustache. A former Fulbright Fellow to Ukraine, he teaches English at Augsburg College in Minneapolis. This is his first novel. 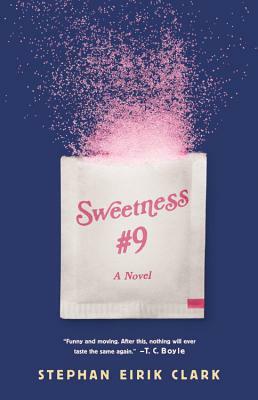 "Sweetness #9 is a Trojan Horse of brilliant, social critique hiding in a sugar packet. A dysfunctional family, a fantastic sense of history and presence, dire cultural portents - with so many addictive hooks... Like Gary Shteyngart, Clark writes with bombastic color and satirical sweetness. It's an exciting time for new American authors; Clark uses vantage points towering and small to create a treasure of complex ideas."